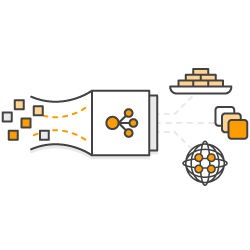 Use the drop down menus below to explore links to different Fully Qualified Domain Names (FQDNs) that SNI is configured for on this Application Load Balancer. The menu on the left is all of the static names (and the name wildcard. * to show the wildcard TLS cerfiticates). The menu on the left has random prefixes to each Top Level Domain (TLD - we have 3 on this site, exampleloadbalancer. [com|net|info]).